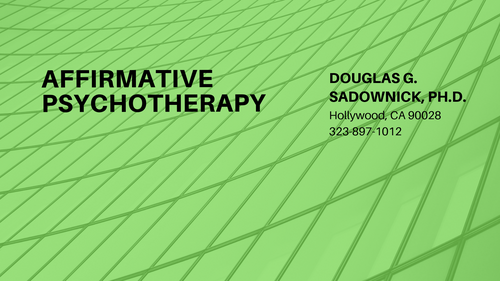 Depression Help in Los Angeles, CA - Relationship Problems - Relationship Help | Douglas Sadownick, Ph.D.
A free phone consultation is available to see if we would like to work together: 323- 413 -2582 . Questions? Please contact me at [email protected] for further information.